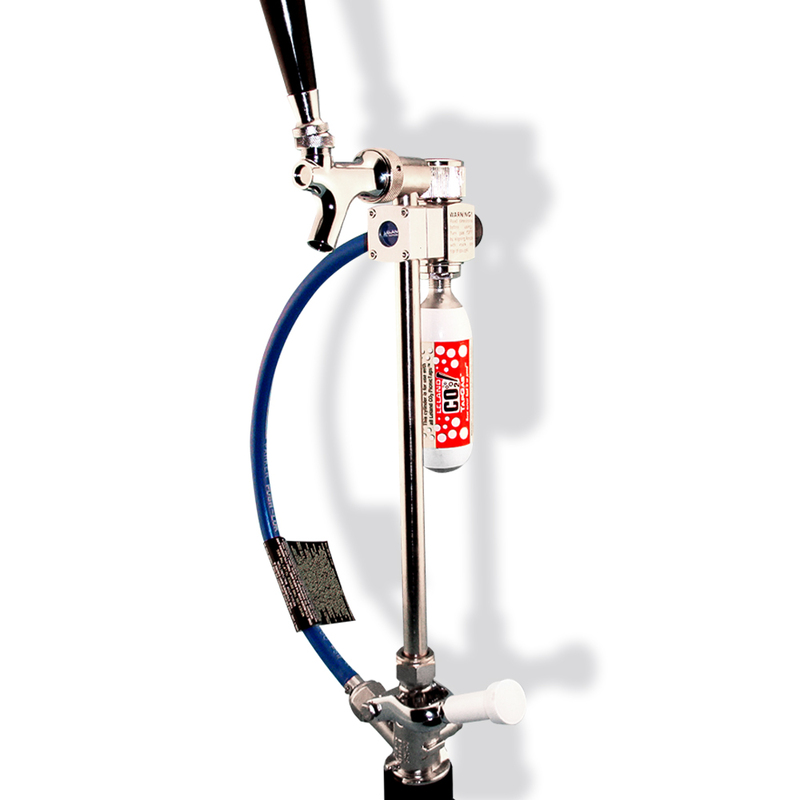 Leland CO2 PicnicTap® is simple CO2 pressure regulated picnic tap that uses brewery approved gas. EU Sankey Base fits most European Beer Kegs. 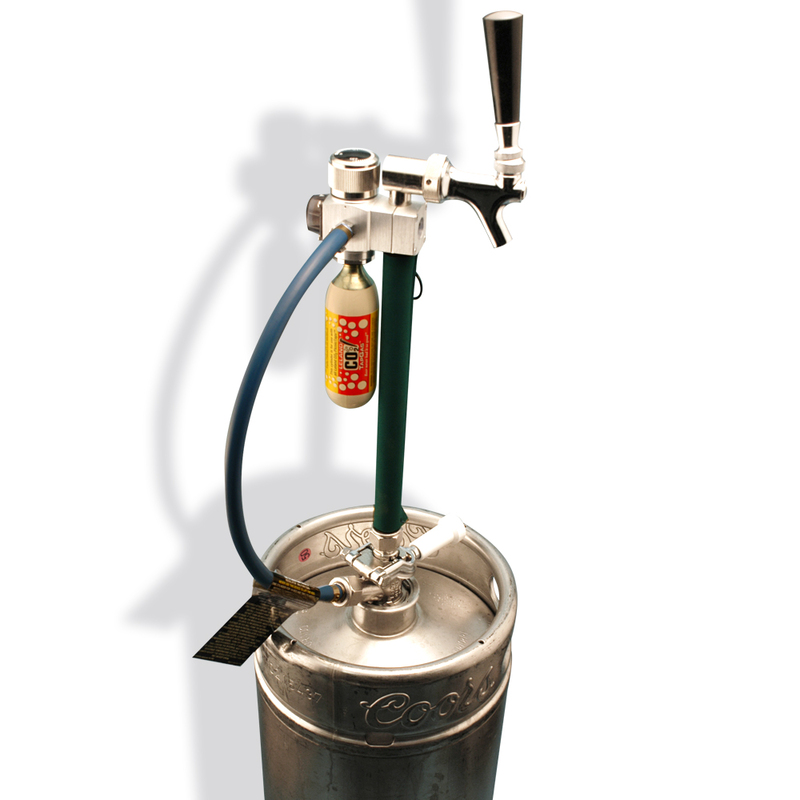 One 74g CO2 TapGas® cylinder will easily preserve and push all of the beer out of 1/6 and 1/4 barrels. A full cylinder will almost push a 1/2 barrel. That's why there are 2 cylinders sold in a package. Regulator is adjustable and carries a lifetime warranty. The Leland CO2 PicnicTap® requires NO PUMPING! 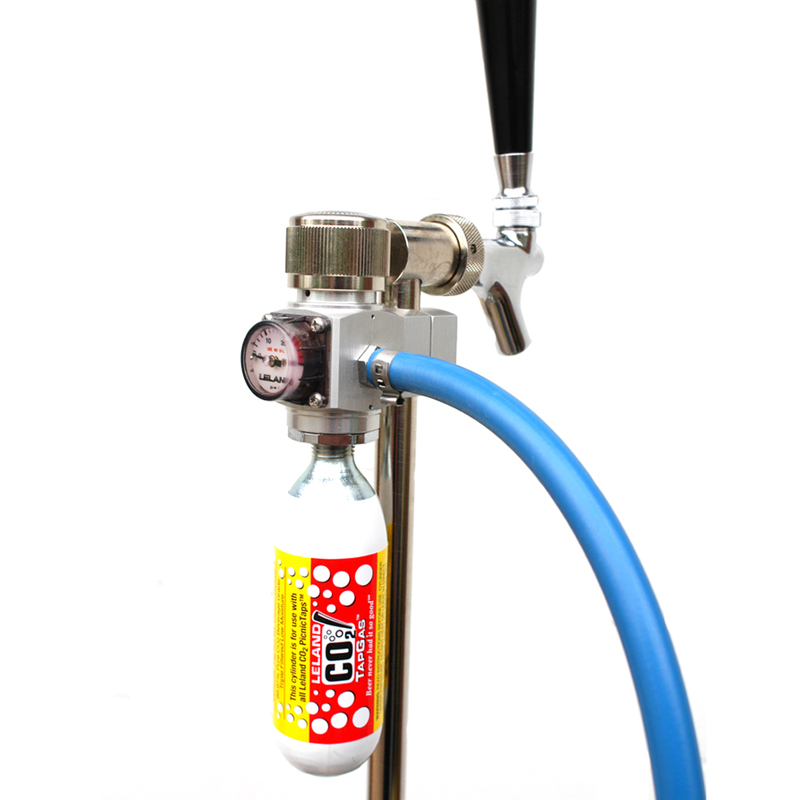 A simple CO2 pressure regulated picnic tap that uses brewery approved gas. 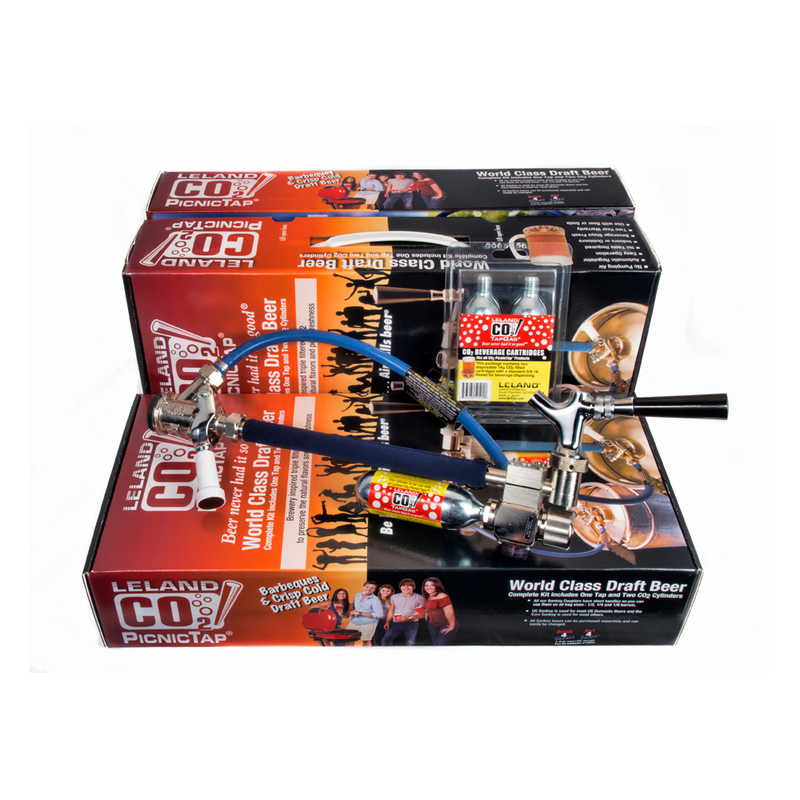 One 74g CO2 TapGas® cylinder will easily preserve and push all of the beer out of 1/6 and 1/4 barrels. A full cylinder will almost push a 1/2 barrel. That's why there are 2 cylinders sold in a package. Regulator is adjustable and carries a lifetime warranty.The Leland CO2 PicnicTap® means NO WASTE! 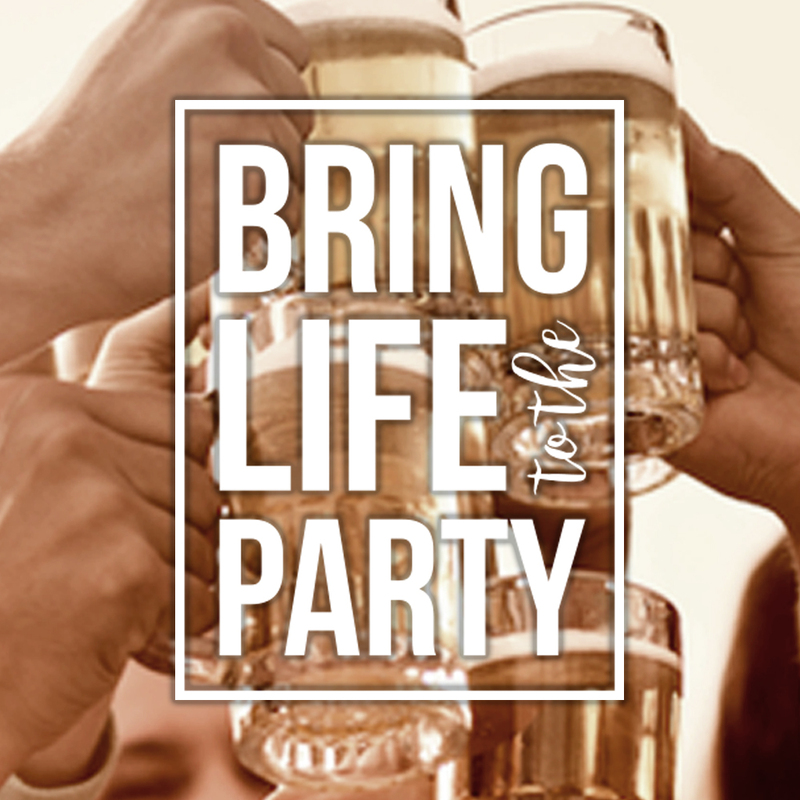 Be Kind…Air Kills Beer™. 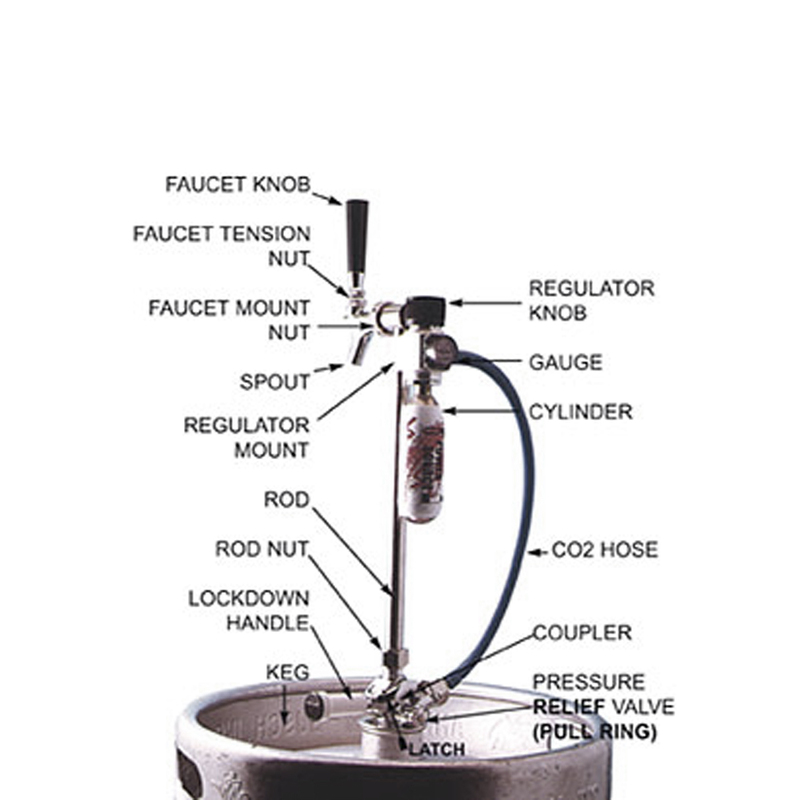 When you see someone pumping air into a beer keg, rather than CO2 , they are pushing or forcing the CO2 out of the beer. Ever try to have a beer from the keg the next morning? We have and it's never a problem when you dispense with CO2 and keep the beer cold.In fact, Mr. Fizz enjoys a crisp frosty one in the morning every now and then too. Completely assembled and ready to use. 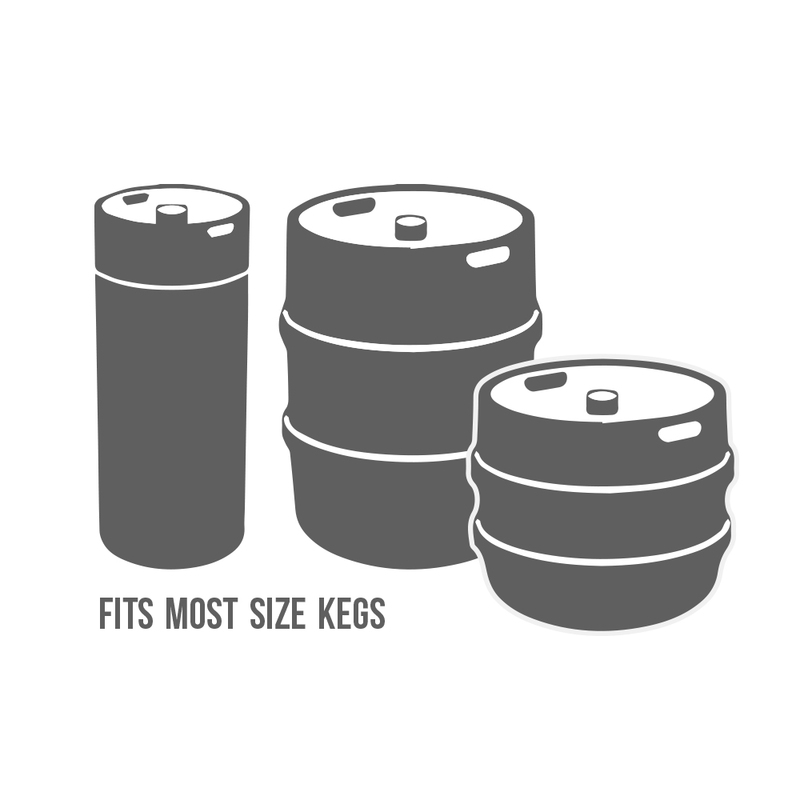 Just pick up the keg and ice.Each unit comes with two of the 74g CO2 Filled Leland CO2 TapGas® cylinders , complete directions and trouble-tech support hotline. Replacement parts stocked. Rapid customer service. 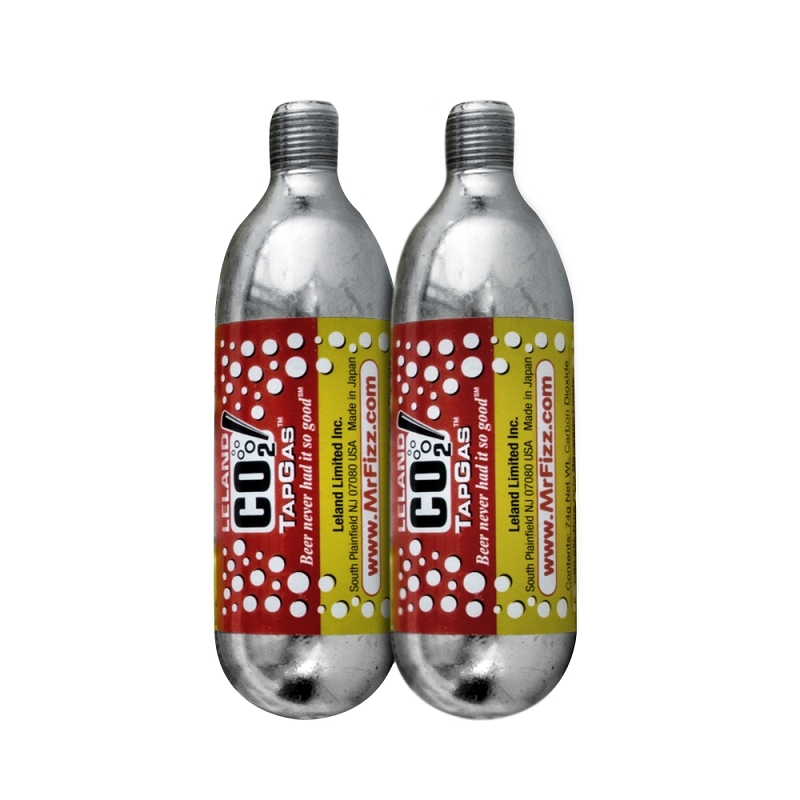 *California Residents' Prop 65 Warning: This product contains chemicals known to the State of California to cause cancer and birth defects or other reproductive harm. Why is this applicable to this product? To learn more please click here.